Since 26 June '09 it is now a legal requirement to be registered with the Registered Gas Installers of Ireland (RGII) to install, repair or service a gas boiler. If you are in doubt about any gas installer then ask to see their picture identification with RGII ID number. A certificate of conformance should be given to every customer for every job carried out. If your installer is not RGII registered and does not present a certificate of conformance then, in the event of a boiler incident, your home insurance will not cover the cost of damages. A non-registered gas installer may also face a fine of up to 15,000 euro and/or 6 months imprisonment. 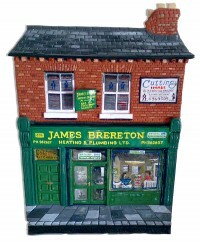 James Brereton Heating & Plumbing Ltd.
James Brereton Heating and Plumbing Ltd, central heating specialists and plumbers, Dublin, have been in business for over 40 years. We are a family business founded by James Brereton senior back in 1977, now with James junior on the road and Elaine in the office. We are based in Ballymount, Dublin and have had our main office here since March 2015 - after moving from our previous premises in Harolds Cross. Here at James Brereton Heating and Plumbing Ltd we carry out all types of plumbing, oil and gas installation and service work. We service and repair all major brands of gas and oil boilers and we are registered with Registered Gas Installers Ireland (RGII). We can supply and install all new energy efficient gas or oil boilers. Replacing your old gas or oil boiler with a high energy efficient, condensing, gas or oil boiler can save you up to 33% off your energy bills. We are a Sustainable Energy Authority Ireland (SEAI) Registered Installer (SEAI Reg. No. 10760). You will therefore be able to apply under the SEAI Home Energy Saving Scheme (HES) to get up to 50% grant payment towards the cost of this work. We pride ourselves here at James Brereton Heating and Plumbing Ltd on having a prompt and reliable service. All our engineers carry Registered Gas Installer ID cards and all gas work carried out is RGI certified and carried out to that standard.